A sweatshirt, or easily a sweater, is a garment, that is supposed to offer a covering to the torso and also the arms. It's additionally known as pullover, jumper, jersey or Guernsey and it's normally worn over a shirt, blouse, T-shirt, or any other top. These sweaters are generally produced by wool. Actually, in the ancient times, they were simply fabricated by wool; although these days, other kinds of materials, are as well utilized for this design, such as cotton, synthetic fibres or a combination of the above-mentioned materials. Sweatshirts are sustained through washing and through the utilization of lint rollers. The word sweatshirt is normally utilized for such garments, that are made of thick cotton. Different fashions of sweatshirts are available in the market today. A sweatshirt with a hood is commonly referred to as a hoodie. Similarly, a jumper with open front and fastened with the help of a zipper or buttons are referred to a cardigan. Of the various styles which are available in the market, it is perhaps the Crewneck Sweatshirt, which is as popular. The crewneck sweatshirts are usually unisex, i.e. they can be worn by both men and women. But what may be a distinguishing factor between women's and men's crewneck sweatshirts would be the colour. While most women have been found to have a fondness for soft colours, such as baby pink, most men, it is believed, would not really like to find them in baby pink. Styling on the fleece garments may be the short-sleeved, sleeveless, long-sleeved or high neck. 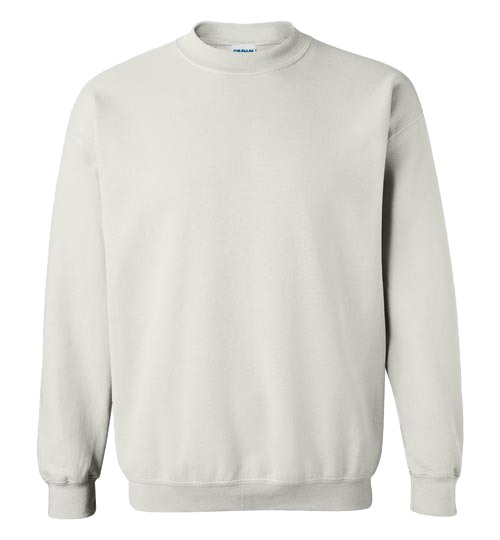 Men have often been associated with crewneck sweatshirts, coloured in tan, navy blue, grey, black or just white. On some occasions, they may select colours such as dark green or light green. Sometimes, men might even select crewneck sweatshirts in colours like light blue. While on the other hand, women might choose purple, yellow, and sometimes white. The kind and thickness of the material that crewneck sweatshirts are made of are available in various types. You may opt for thinner types, or use thicker as well as soft fleece ones in case of cooler weather. In case you are in a region with frigid climate and snowing, then layering is definitely an amazing idea if you go outside. The feeling of softness of fleece sweatshirts next to the skin is absolutely wonderful and above all, you may always put on a jacket over it. Few things are better than getting off from work on Friday evenings, taking off the stiff and scratchy work clothing, and replacing them with a nice pair of sweatshirts. A sweatshirt has other uses as well. A sweatshirt may be folded and used in place of a pillow as well! These days, there are several stores, both offline and online, where you can buy crewneck sweatshirts. For custom crewneck sweatshirts, there are also available in different colours and sizes depending on your preference. If you buy on the internet, then you get the advantage of cost-effectiveness. Apart from that, there are far more varieties to choose from, than in case of the offline stores.